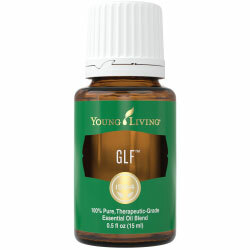 GLF Essential Oil a wonderful blend of essential oils that have cleansing properties that support a healthy body. Promote emotional wellness by diffusing this wonderful oil or placing on Liver VitaFlex points. I often take in combination with Juva Cleanse and JuvaFlex complementary oils so click on the link to read more. There is also GLF Vitality and JuvaFlex Vitality. And now Juva Cleanse Vitality dietary oil! This is an easy reference guide for GLF Oil Blend. It will tell you how to use your oil blend and what to use it for. It will also provide you with some fun tips and testimonials! Want to Purchase Therapeutic GLF Essential Oil? Go to the Oil Shop! Buy GLF Oil Here! There are six therapeutic grade essential oils in GLF. They are listed below along with a brief description of each oil. Grapefruit Essential Oil (Citrus paradisi) The benefits of grapefruit detox and cleansing besides tasting great in water. Rich in d-limonene. Spearmint Essential Oil (Mentha spicata) Rich in carvone and d-limonene, may help calm occasional nausea. Blend with Peppermint oil for digestive system support. May support respiratory health*. Hyssop Essential Oil (Hyssopus officinalis) noted for its purifying properties. Sacred to ancient Greeks, has a fresh, woody scent that is slightly sweet. Ledum Essential Oil (Ledum groenlandicum) It is also believed to harmonize and balance the body's daily needs. This is also known as Labrador Tea or Marsh Tea. Celery Seed Essential Oil (Apium graveolens) Historically used for easing and soothing physical discomforts. Supprts healthy digestive system*. What is the Spiritual Influence? GLF essential oil clears the emotions of blame, bitterness and anger. It will help you foster the positive emotions of approval, contentment and forgiveness. Interested in Dietary GLF Oil for Your Culinary and Dietary Adventures? Then check out GLF Vitality Essential Oil! What are the Safety Precautions? GLF should not be used by children younger than 5 years of age. Women who are pregnant should avoid or use caution using this oil. Could result in skin irritation and direct exposure to sunlight should be avoided for 3 to 6 hours after use.